Steven Gerrard can return on loan, says Ian Ayre Liverpool midfielder Steven Gerrard could make a return from Major Soccer League side on loan, according to chief executive Ian Ayre. Liverpool midfielder Steven Gerrard could make a return from Major Soccer League side on loan, according to chief executive Ian Ayre. 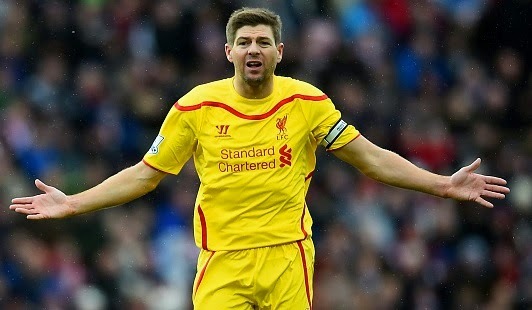 Liverpool chief executive Ian Ayre said that Steven Gerrard can return to Liverpool from Los Angeles Galaxy next season. Skipper Steven Gerrard has agreed to join Los Angeles Galaxy in the summer after failing to sign a new deal at his boy hood club. The Englishman whose contract expires at the end of this season will follow the footsteps of his former England teammate David Beckham. The 34-year-old veteran who announced his retirement from international football will leave the club after serving for 25 years. According to Ayre, his departure does not mean a lifetime departure, he can rejoin any time. He also told that loan move is not an impossible thing, he can come on loan and can enjoy his Anfield days once again. However, Galaxy president Chris Klein has previously said that Gerrard’s loan move as never been discussed and his focus will be on MLS side. Gerrard who was debuted in 1998 has scored 182 goals in 697 appearances for the Reds. He has won many trophies including Champions League but is yet to lift a Premier League title.